A farrier at work on a horse's hoof. How do I identify a quarter crack? Quarter cracks are a common cause of lameness and decreased athletic performance in horses. Anyone who follows horse racing and competitions will have heard of horses that have lost their competitive edge because of hoof problems. Unfortunately, a horse doesn't have to be a race or performance horse to develop quarter cracks. They can happen with any horse. Quarter cracks are vertical cracks, located in the quarter of the hoof between the widest part of the foot and the heel. They can range in severity from full thickness, penetrating cracks to "blind" cracks, which show a fault line and indicate weakness but are not opened or separated. Additionally, cracks may be irregular, with two cracks running side by side, and they can also penetrate the hoof wall at an angle. The most severe and difficult to repair quarter cracks begin at the hairline and progress downward. They begin because of too much pressure on a weak part of the hoof. If quarter cracks are deep, they can lead to bleeding and infection in the exposed sensitive tissue. The horse's hoof shows both a quarter crack and evidence of a previous hoof abscess. 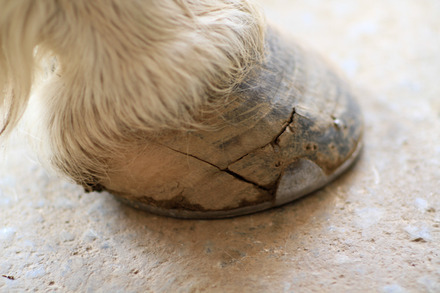 A number of factors contribute to quarter cracks, including injuries to the hoof, a predisposition because of contracted feet or thin hoof walls, infections, inappropriate moisture levels, or a hoof that is unbalanced or has a long toe with an under-run heel conformation. In addition, landing patterns, when the hooves strike the ground at an unbalanced angle, can contribute to the problem because of disproportionate forces causing increased pressure on the hoof wall. Making sure that the hooves are properly balanced so that the landing pattern doesn't place excessive force on one side of the hoof wall is very important in preventing hoof cracks. When the landing pattern is asymmetrical and coupled with abnormal foot conformation, it may perpetuate quarter cracks caused by trauma to the coronary band or by previous hoof problems. How are quarter cracks repaired? For quarter crack repair to be successful, the exact cause of the crack needs to be determined and corrected. Unfortunately, once a quarter crack occurs, the hoof wall will need to repair itself by growing new horn, beginning at the coronary band and growing downward in much the same way as a person's finger nails grow. This, of course, takes time. Treatment of hoof cracks usually requires the services of an experienced farrier and/or veterinarian, not only for the preliminary treatment and stabilization, but also to help determine the reason for the hoof crack. They also can ensure that proper hoof balance is achieved through corrective and supportive shoeing. If quarter cracks are caught early and have not penetrated the sensitive tissues within the hoof, the primary treatment will include proper trimming, thorough cleansing of the quarter crack, immobilization of the damaged area, and stabilization of the hoof wall. 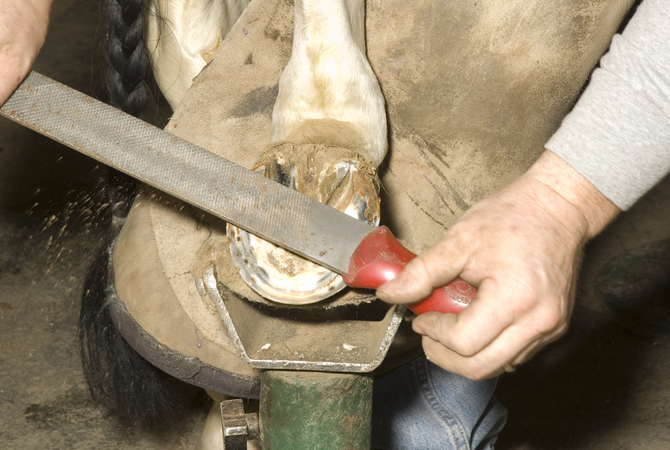 Sometimes, trimming the hoof properly and applying the correct shoe will solve the problem. The crack is thoroughly cleansed with the removal of any accumulated debris and dirt, and a topical antiseptic, such as 2% iodine, chlorhexidine, or Betadine, is applied. 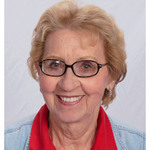 The shoes are removed and the feet are trimmed appropriately, taking into account toe and heel conformation, which often includes lowering the hoof wall from the quarter to the heel on the affected side. A criss-crossing of stainless steel wires may be screwed into the two sides of the hoof on each side of the crack, or various kinds of metal plates may be attached to each side and used to stabilize the crack by drawing the sides together and holding them in place, depending on the farrier's or veterinarian's preferred method. A polymethylmethacrylate (PMMA) composite is mixed thoroughly and a layer is applied around and on the crack, filling it in. Several layers of a strong structural fabric called "spectra" are saturated with the PMMA composite and applied over the crack area. The hoof wall is covered with plastic wrap and an elastic adhesive bandage is pulled tightly around the hoof wall, compressing the fabric, and the composite is allowed to cure for several minutes. After the composite is thoroughly set, the wrap is removed and the repair is sanded to remove any excess composite. The next step is shoeing the hoof with an appropriate shoe. Many farriers recommend a bar shoe, which increases the bearing surface of the foot, provides palmar/plantar support, and decreases independent vertical movement at the bulbs of the heels. Farriers sometimes recommend gluing the shoes on when a horse has a quarter crack which alleviates any concern associated with nail placement. Other methods used by farriers include cutting the hoof wall away directly under the crack where the hoof ordinarily touches the shoe, thereby creating a gap between the shoe and the hoof. The area of the hoof where the quarter crack is located no longer takes a pounding each time the hoof hits the ground. Because this area of the hoof more or less floats, the crack has a chance to mend. Depending on the severity of the crack and the workload of the horse, some farriers elect to use a composite and the structural fabric called "spectra" without metal wires, screws, or plates. In addition, clamps and various suture patterns are used in repairing quarter cracks. The main problem with these methods is the difficulty of maintaining uniform tension across and within the crack. Without ongoing uniform tension, the crack may continue to break apart, rather than heal properly. Determining the cause, correcting any hoof abnormality and landing pattern problem, and choosing the correct shoe, are as important as the repair itself. Unless these three components are resolved satisfactorily, your horse may continue to suffer future quarter cracks.